Trulia is an all-in-one real estate site that gives you the local scoop about homes for sale, apartments for rent, neighborhood insights, and real estate markets and trends to help you figure out exactly what, where, and when to buy, sell, or rent. "Unreliable in the best way." Trulia is a really good service for scouting what is available in the area of interest. I have used it as a customer exclusively. My wife and I used Trulia to find housing options and markets of interest when we moved to a new town. Sometimes a created listing can be hi-jacked for phishing scams. What we ran into specifically were duplicate listings for the same property, with misleading pricing. During the process of contacting the owner of the listing, we would often find that the listing would be a scam (someone asking for a check, or some other form of money) from out of town. A google search of the phone number on the listing would quickly identify it as fraud. If you are trying to cast a "wide net" in a new area, or if you are looking to find the most options fast - Trulia works the best. The app is easy to use, and contacting agents with legitimate listings is easy to do. If nothing else - it gives you a great place to start. Trulia gets listings and availability out. It is often simply a wide net to cast. It is most helpful in finding an area with the most options. If you're looking for property, Trulia (even with the phishing scams) is a great tool to identify which areas have legitimate listings. Even when weeding through the scams - you are able to find good listings. "Almost as good as Zillow"
How easy it is for anyone to find my rentals or listings. Not as easy to search as Zillow. I am unable to limit my searches by number of bedrooms, price, home type, square feet, etc. Positives on the ability to save properties to see later. It's a good search engine to advertise and find rentals and properties, good comparisons, but not strong enough by itself you will need other sources of information. The fact that you can't limit the search to different parameters is a big draw back to many people. Great for marketing of our properties. I have a good amount of people that say they found my advertised properties on Trulia. I like that listings are easy to search, and photo tours are readily available. You can search many rentals and for sale properties. Also owners are able to list their own properties with out having to use an agent, which can be helpful for them. As an Agent, I dislike that listings are not updated as frequently as they should be. Consumers see the listings here and get excited about them, only to find out that the properties are no longer available--quite often having been off the market for some time. Rentals are the worst, but that is hard anywhere because they often do not last long. Do not use Trulia if you want to know the latest market updates or find the most current properties. Please find a local real estate agent who can be your "neighborhood expert". Using Trulia allows us to syndicate listings to many more consumers than just using the local multiple listing service. Trulia is free to advertise your home to rent or sell. It is the similar to zillow, very well know and used. I use Trulia to promote my vacation rental. I don't have any dislikes but I would say it is not as popular as zillow.com. Before you sign up with Trulia and use it to list your home have all information and pictures readily available to upload. If you are looking for a home have your requirements or desires as you can fine tune your search. Trulia is an excellent way to literally get my face and cabin name out there for people to see and consider for their vacation in Pinetop, Arizona. I have received inquiries because of Trulia. "As a real estate professional, I did not have a pleasant experience with Zillow/Trulia"
It's a good resource for home buyers looking for more information about properties. The data on there is not fully in sync with the MLS databases. We attempted to use the Premier Agent program to get more clients, but it was not very effective compared to other forms of marketing. It's ok for consumers but it's hit/miss for real estate professionals looking to use it as a lead generation tool. We attempted to use the Premier Agent program to get more clients, but it was not very effective compared to other forms of marketing. The profiles are good though as it allows us to showcase our sales history and team profiles. So it's a great way to get our name out there organically (outside of the ads). "Trulia is a great tool when searching for a specific type of property with specific specifications"
I like the ease of use for Trulia and it's simple to refine your search. I don't like how crowded the site feels. A site like Zillow may be preferable. There is no map feature on the home page and a lot of times it does not have all of the locations as other sites. Looking for homes for a relative (personal use). in comparison to zillow, I like the interface and filter settings better. What I probably like the most about Trulia is their mobile app. It has a nice minimalistic look and a clear map and list feature. They also have custom filters you can set to narrow your search. I have used Trulia for both personal and business use because Trulia has listings the MLS does not, like by owner listings. Trulia does have filters on their site that can be used to narrow searches, however, it does not always filter out all of the unwanted properties. For example, if you were to mark "laundry in unit" as a filter, it for some reason will still show listings that may not have laundry in unit. Similar with the pet filter, it may show properties that do not specify a pet policy, which should be a required question when someone posts a listing. Another issue with the way their search is constructed is that if you are looking for a listing that is 2 bedrooms and you set the max price at $1,000, Trulia may show you an apartment complex with a price range of $1,000-$3,000. What that can mean is that a studio apartment at that building is $1,000 but a 2 bedroom is really $2,500, which would not fit in your search criteria. It is easy to use and convienient, however, I would consider using this along with other applications because no listing applications has every available listing. A benefit of Trulia is the convienience. Because they have a relatively well designed application, it is easy to use on the go or to find listings near by. They also have a very simple and clear process for listing properties. I dislike that Trulia is slow to update, and the property values they have aren't a true indication of current sales. I dislike that I got a lot of calls for rental properties when I do not do any work with them. Quality of the leads does not seem very good. it allows you to add extra zip codes, but when I did I seemed to get a lot of junk calls and not much of value, when putting back to just my primary zip, I do not get as many calls but seem better quality. I am getting exposure and by featuring my properties getting them extra exposure. I have expanded my online presence. "Love checking out Trulia when looking for new rental properties"
Website is sophisticated and easy to use. Very user friendly and the filter features are helpful. While being able to sort by rooms and cost is nice, Trulia would be better if you had other filter options as well (commute, nearby amenities, etc). Recommend Trulia to people at the company looking to find a new apartment (so that they can shorten their commute), Makes things very easy for 20-somethings new to the process. My buyers like the user friendly experience. I do not like how it's connected to Zillow and I can no longer access Trulia reports. You cant do anything without paying for it now. Trulia and Zillow do not syndicate listings properly from the MLS either. It shows homes in "pre foreclosure" which is honestly the biggest scam I've ever seen. I can not stand Trulia and Zillow. Beware of clicking on anything on website. nothing is free. None. Its made my life so much more difficult. The site is attractive, the I do like the way school and crime information is easily visible. I don't think this site is as accurate with their financial information as Zillow is. Finding a site that for me, does not work as well as another of it's same category means after 2 or 3 attempts to use it, I don't waste my time any longer. Trulia, in my opinion, does not offer as accurate information in terms of real numbers, and right now I am viewing a property in my own neighborhood...the description of the neighborhood is close to reality, but not completely true. This alone leads me to steer clear of Trulia. Nothing! This site pawns itself off on the public as if it is some sort of Real Estate brokerage. It advertises that it can somehow help buyers purchase, sell, rent and/or mortgage real estate when in fact, they a simply a referral site. They use the listing information that hard working, licensed agents/brokers have produced to deceive the public that they are in the real estate business. Unlike REALTORS that are licensed in their states and belong to an Association or Board that requires an adherence to a strict code of ethics, they have ZERO accountability. Everything! This site pawns itself off on the public as if it is some sort of Real Estate brokerage. It advertises that it can somehow help buyers purchase, sell, rent and/or mortgage real estate when in fact, they a simply a referral site. They use the listing information that hard working, licensed agents/brokers have produced to deceive the public that they are in the real estate business. In addition, their data is often out of date, already sold or off of the market! I have lost count of how many times I have had to tell one of my clients that the property that they "found on trulia" sold last year! They have no responsibility to ANYONE for the information that they put out to the public. This site pawns itself off on the public as if it is some sort of Real Estate brokerage. It advertises that it can somehow help buyers purchase, sell, rent and/or mortgage real estate when in fact, they arre simply a referral site. They use the listing information that hard working, licensed agents/brokers have produced to deceive the public that they are in the real estate business. In addition, their data is often out of date, already sold or off of the market! I have lost count of how many times I have had to tell one of my clients that the property that they "found on trulia" sold last year! They also have ZERO accountability to ANYONE! No code of ethics, no contracts with buyers or sellers, no licensing responsibilities. None! My company has joined a movement in the industry to exclude trulia from our listing IDX agreements. The main benefit is that we don't have to worry about their ineptitude reflecting poorly on our business. Tough call, but I'd say the best thing about Trulia is the fact that it is so easy to provide a value to people who call from Trulia bc of Trulia/Zillow being so incapable. The quality of the people looking for information is not ideal. Frequently unqualified, looking to rent, already have a Realtor, etc. I would say that it does generate a couple leads a week. I have closed business, but the customers reminded me several times that they already had a Realtor, but they liked me more but were willing to work with the other Realtor if I didn't get them the house/deal they wanted. I prefer to use trulia for rental listings. I believe the client that is looking for a rental uses online resources more so than realtor resources. Therefore my listings get in front of more potential renters easier. For listings I prefer to not use Trulia. I like to stick with the Mutltiple list service instead and market my listings more towards agents than buyers. This creates more networking opportunities for me with other agents who have buyers and will recommend viewing my listings. I recommend having a separate website geared towards luxury listings. I think if there is way to make sure that potential buyers are qualified it will cut down on timing issues for realtors. Getting listings in front of the right people whether that is a rental or a listing for sale. certain websites are better for certain listings. Trulia was very helpful for looking for properties / houses that were on the market. Similar to other listing websites, but was very easy to maneuver around. Not sure if this is a dislike, but I used the website more on computer than my iphone. This is not necessarily a bad thing, but was more user based - probably should have downloaded the app and I would have used it more. Very easy to use and find potential properties using the Trulia website. Looking for listings and or properties. "Trulia is a good but not great Real Estate Tool"
The site has a good look and feel, and is more reliable than some other similar websites out there (including Zillow, even though they are now the same company). I find a lot of use in some of the lesser-used features, including things like crime-rate visualization for different neighborhoods. The data can be unreliable. Houses that are listed as on the market oftentimes aren't, sometimes because they have already sold and other times because they were actual rental listings, and other times because they were never listed for sale or rent at all. It's not as bad as some other sites in this respect, but it's far from perfect. It can also be a bit spamy from time to time, as it pushes broker advertisements and other similar advertisements pretty hard. Use this tool as one of many tools - it is not fail-proof, and it's not comprehensive in nature. But it does provide some features and functionality that you might find valuable. Trulia is an OK tool for initial research and data gathering in the residential real estate world. A lot of residential brokers view it as the bane of their existence, but I would not go that far. If clients are relying solely on sites like Trulia and Zillow, they will be underinformed or misinformed, but that doesn't mean they don't have value at all. Trulia seems to be a very user friendly tool for. One real estate professionals. A large number of clients use this tool ahead of any other, with the exception of searches I've setup for them within MLS. When I initialize the tool, it shows properties in areas other than where I'm located. This is an excellent tool for. none real estate professionals to research real estate properties. Allows easy search of properties by clients, easy for them to share those with my staff for further review. "Great for looking at options"
I love that they provide a very easy way to search homes/buildings and price ranges. It shows map or list view and always shows the images so you know what you're looking at. I dislike that sometimes it may be outdated. If I am looking for a house/building just because I am curious, it will still send me notifications on that search even if I did not click on it. I have realized that it shows the neighborhood values and other factors that I wouldn't even consider. It gives me a bigger perspective on the area. I didn't have a good experience with Trulia advertising. The leads that I did get seem to be putting in requests with several Realtors at the same time, so even getting back to leads within 5 or 10 minutes doesn't mean you'll convert leads. I subscribed to Trulia advertising a while ago, and I found it very disappointing. The results were nowhere near what was "sold" to me during the sales call. What I've heard from agents that do a lot of advertising in Trulia is that you need to spend A LOT of money on Trulia to make it worth the investment. The purpose of advertising on Trulia is to cultivate more leads, but instead of paying for leads, I've focused on building my word of mouth lead generation. "Nice way to get leads"
As a realtor pairing with Trulia has been a great way to get new buyers and sellers. It is a great resource for consumers so I try to use it as much as possible. Sometimes the information regarding whether or not a home is for sale updates slowly. As a realtor use it as an advantage for yourself. Don't see it as competition. Our buyers take a lot of the home search load off of my shoulders. They know what they are looking for better than I do. I enjoy having so many filter options for searching your area. My biggest issue is that when certain home types are selected, other types are shown. If I search for townhome, I still see many apartments come up, etc. Knowing what is available around the area I need is the first step in finding a new home. "Easy to use site for listings rental properties "
I like that it has features like the Local Scoop, which consolidates their data on crime rates and property values. Trulia also takes steps to verify renters through their rental resume. Finding quality tenants quickly and placing them in rental properties. Makes for happier landlords. "Lots of info, not always up to date. " There is lots of great info on Trulia. Great integration of maps. The photos are clear and up front. There are lots of homes that are not for sale, that show that they are for sale. Just know that all of the info might not be up to date. Problems that I am solving are finding a place with all up to date listings. Benefits that I have realized is how well that Trulia integrates with mobile platforms. "Nice site to use for searching rentals"
I liked the feature that allowed you to share information between people-an old colleague of mine created a board he could post listings for me. Nice to be able to filter listings by pet criteria! Too many emails with search results that only included part of my criteria, so I got lots of listing that didn't allow pets. Finding a place to live after relocation for myself and other new employees. "Easy to search, very comprehensive overviews of properties"
I like how detailed it gets. It even ranks things like school district that may not be top of everyone's mind, but should be. Create different lists and saved searches to make it easy to go back and compare. It makes finding property quick and easy. It is easy to compare and to see how it fits into budget. "Great platform for basic market knowledge and insight"
"Lots of time wasters but you will get leads"
Lots of people had no idea anyone would be calling. They resell these to multiple parties (more than other vendors) so you're fighting against an unknown amount of competition. might be useful to have a dedicated person calling them as soon as they come in. "Simple, easy, and user friendly"
Trulia is tougher for Manhattan market, this is made more for the suburbs. Which helps a lot of my buyers out there make everything a lot easier for them. This is a super easy platform to use and would recommend to other people who are looking at getting into real estate. The business problems I am solving are finding houses and apartments for my clients. The benefits I have realized is that I have received some clients from trulia through my listings on their site. "Trulia is a main stay in the field of property management"
Trulia is probably one of the most popular sites for prospective renters. I get tons of leads through Trulia on a regular basis. I have yet to run into any issues with Trulia. I've only heard good feedback from renters as far as ease of use and navigation of properties. Trulia is straight forward, to the point, and accurately communicates property specs to it's users. "Very Similar to Zillow "
It's very similar to Zillow. I have not been using it as much as Zillow. Does not give an accurate market analyses for the buyers/sellers. Often confuses the buyers about how much they can afford. "Perfect place for renters and tenants"
You can find all reality related services on one platform buy, sell, give on rent or find a place for rent, awesome. Sometimes the owners details and contacts are missing. Apart from this it's perfect. "Online real estate made easy!" The simple yet robust interface. There have been multiple occasions where they had many homes other searches did not provide. Lacking of commercial listings, I have a lot of commercial buyers who are always having a difficult time finding properties. Just do it, it's worth it if you don't need your hand held. "Trulia is a great resource "
I am getting many leads from using trulia and I am able to get my face and information out there for potential clients. Trulia is great for generating leads and quick with their syndication. Love how you can access your profile and edit ads quickly. Easy of access and log in is great as well. Site is easy to use and flush! Trulia used to be a great site until It went to all exclusive listings. I used to receive a lot of leads until this happened. Used to count on Trulia sending lots of leads but that has since trailed off in the past few years! Site has nice consumer oriented look to it. It appears to be easy to use by the general public in searching for properties and agents. In their desire to act as a MLS replacement and utilize data from these associations, they are in effect duplicating services paid for by Realtors. Data scraping results in old, outdated data being viewed by consumers who do not realize same. Consider cost versus benefits of this paid service. Generating leads is my primary concern for my business. I prefer Trulia to ZIllow when it comes to reviewing home listings. The information is more detailed and better photo options. It's not quite as user-friendly when it comes to searching for a particular neighborhood as some of the local MLS sites. You can find boundaries, but can't search by specific project names. Don't depend on one website when doing a residential search. Other providers, such as Redfin alsp provide useful tools. And by using multiple websites, you have less chance of missing a new listing as it hits the market. I find that Trulia offers up some interesting articles on the real estate market. And I particularly enjoy seeing some high-end, exotic homes highlighted. "Not complete and accuracy is limited"
Be cautious as to what you read from here. "Real Estate listing website "
This is a good tool to use to get your houses that are for sale out on a 3rd party website. Doesnt seem to be keeping up with Zillow, or very user friendly. "One of the best real estate searches in the market"
I dislike the fact that it's not as easy as Redfin when it comes to property searches using their map. I can't pin-point what it is, but the UX is lacking when compared to Redfin. Try it out. If you don't like it, move to Refin. We were using Trulia to research into properties that were coming in as leads to our database. "Exclusive Seller Leads most recently"
I have converted a few of the "Exclusive Seller Leads" to clients. The leads I am sent have no idea they will be contacted by a Real Estate agent. Many leave a bad phone number. The Exclusive Seller Leads do seem to be better than Buyer leads. Finding clients I would not have received through my own circle.. I have recently sold the listings for 2 of the leads I was given. "How to find a place that fits you!" I love that I can put in an address and it pulls it up using any way I want. My favorite is street view, so I can see the surrounding areas. There really isn't anything I dislike. Easy to use, fast and up to date. I can see benefit in knowing where a property is located, so I can make the best business choice on whether or not i2want to purchase that property based on location. "Good, but not always accurate"
I like being able to see the crime ratings for each neighborhood. I can even see exactly what crimes were committed and when. Trulia has listings that are not always accurate in their price, status, and statistics. Be aware the listings might not always be accurate. Trulia can be a great way for customers to take a look at homes without actually walking through them. It can help my clients get an idea of the kind of home they are looking for. It helps them narrow down what they like and don't like without having to tour a bunch of homes. "Best for Brooklyn/Queens in NYC, Good Interface"
Nice to see a lot more detail from the renter profile, well presented and easy to read. The initial email also makes it easy to see which property the client is contacting you about. If the renter information form is fully filled out it's almost everything we would need to know from our clients. Doesn't work for Manhattan open listings so most of the properties that we work with can't be put on this website. "Decent experience, yet needs to update more frequently. " It's a one-stop-shop to get "surface level" information on properties and their values. It's well known and easy to use, so people do use it. Much like other real estate websites that don't connect with local MLS, these websites don't update their information fast enough, which makes a grey area where clients will see a home listed on this website, yet the property has actually been sold for a while. Always do your research with multiple websites and information, so that you can cross-reference and see what is accurate. Business problems are solved by cross-checking this website with others that I use, including the always quickly updated MLS. 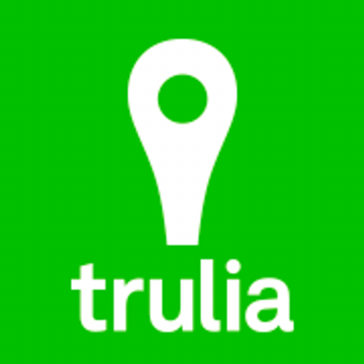 "Trulia is truli a simple site"
You can search by map or list on Trulia.com. I have not encountered anything dissatisfying on Trulia.com. I can use Trulia alongside other sites to help customers find a home to buy or rent. Trulia places your lead at the top of the list. If an owner is also listing the home for sale, then the rental marketing is automatically removed. Marketing is clear and immediate. * We monitor all Trulia reviews to prevent fraudulent reviews and keep review quality high. We do not post reviews by company employees or direct competitors. Validated reviews require the user to submit a screenshot of the product containing their user ID, in order to verify a user is an actual user of the product. Hi there! Are you looking to implement a solution like Trulia?